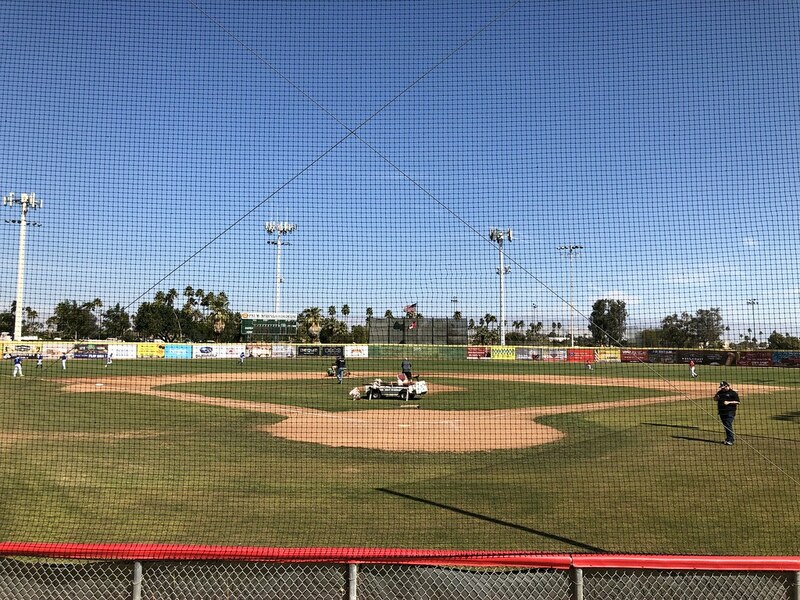 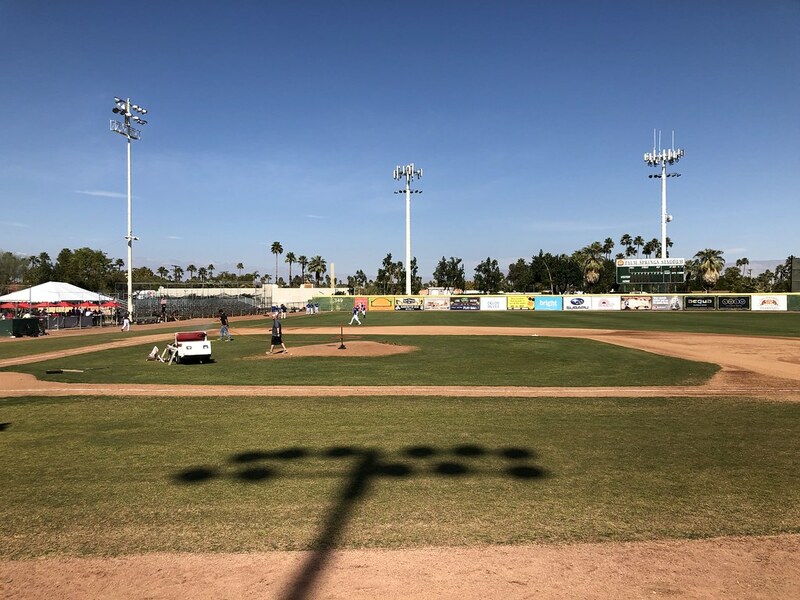 The view from behind home plate at Palm Springs Stadium. 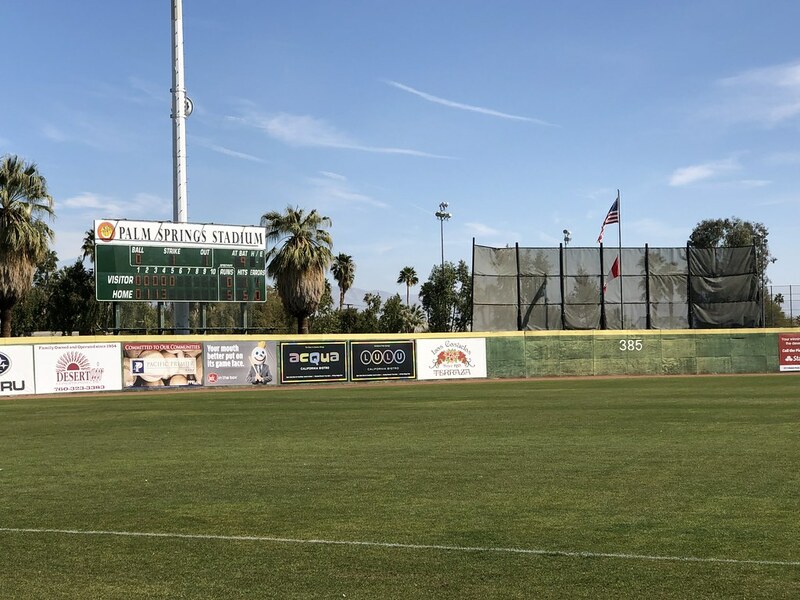 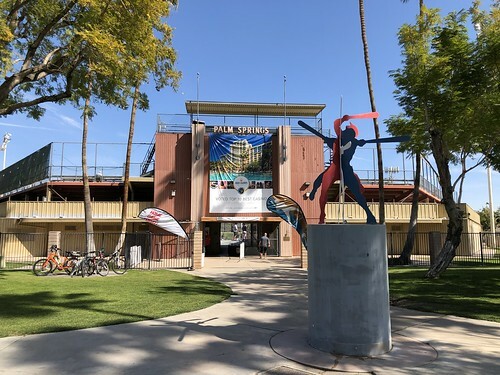 The grandstand at Palm Springs Stadium, as seen from the first base side of the park. 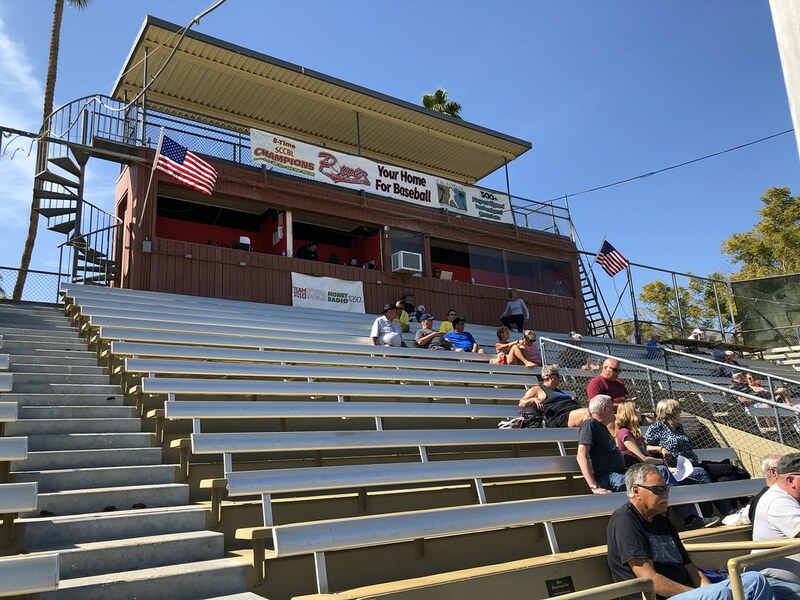 The pressbox sits atop the open grandstand. 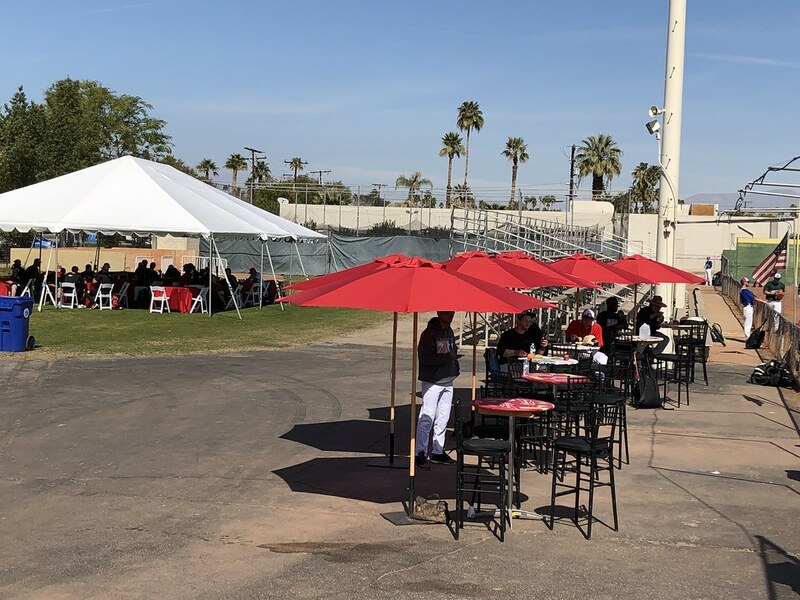 A small sun shade covers the rooftop area. 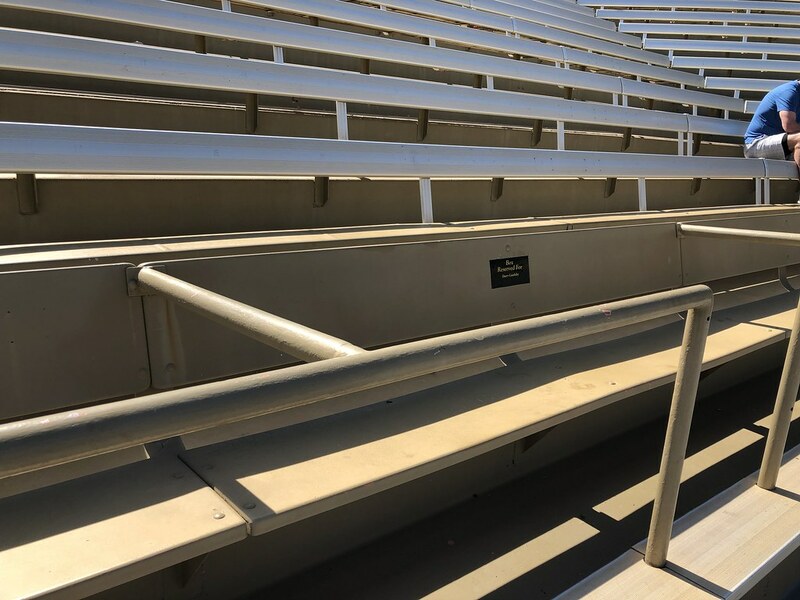 All seating in the grandstand is on metal bleachers with backs. 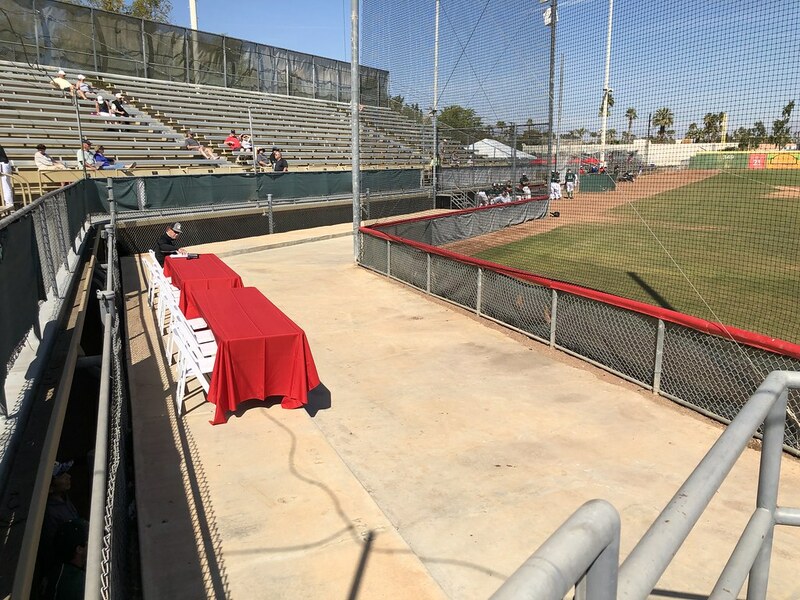 A row of boxed off reserved seating sits along the front of the grandstand. 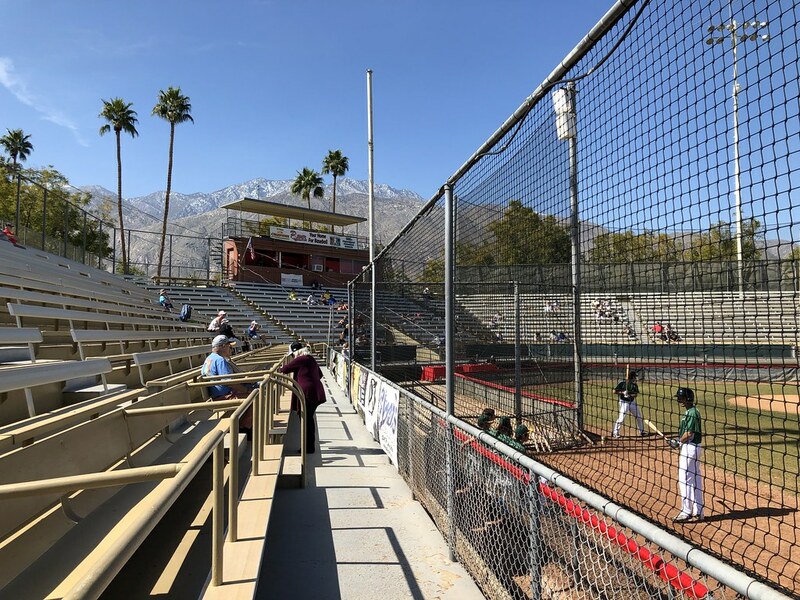 A wide open concrete area sits between the backstop and the raised seating bowl at Palm Springs Stadium. 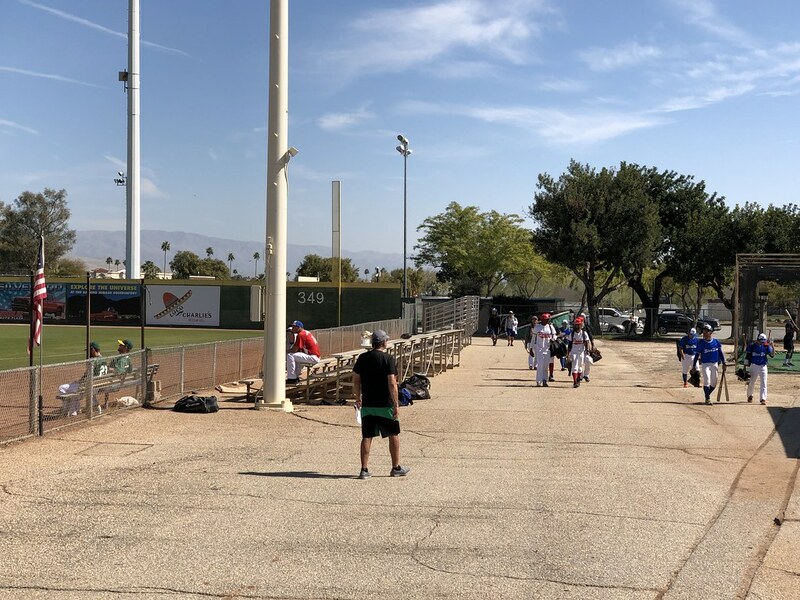 A covered picnic area and shaded table seating are located beside a small bleacher section in the left field corner of the park. 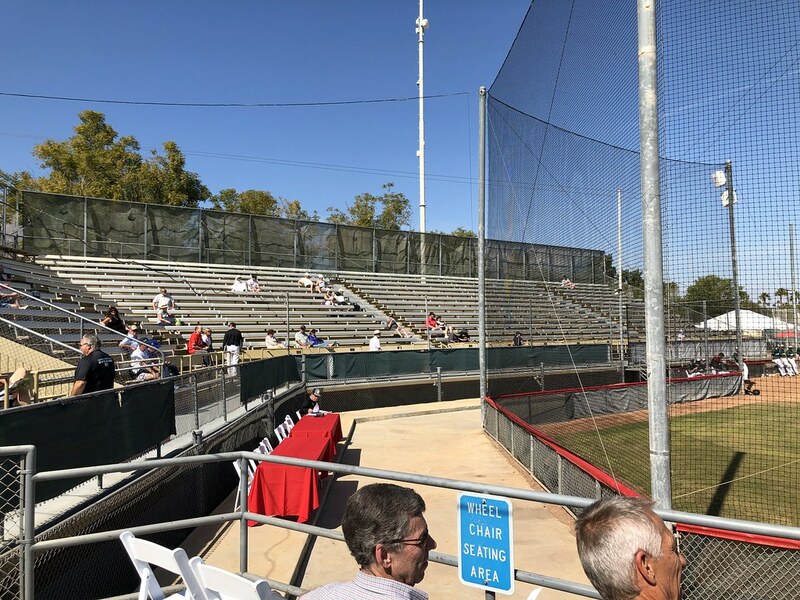 Several small bleacher sections run down the right field line. 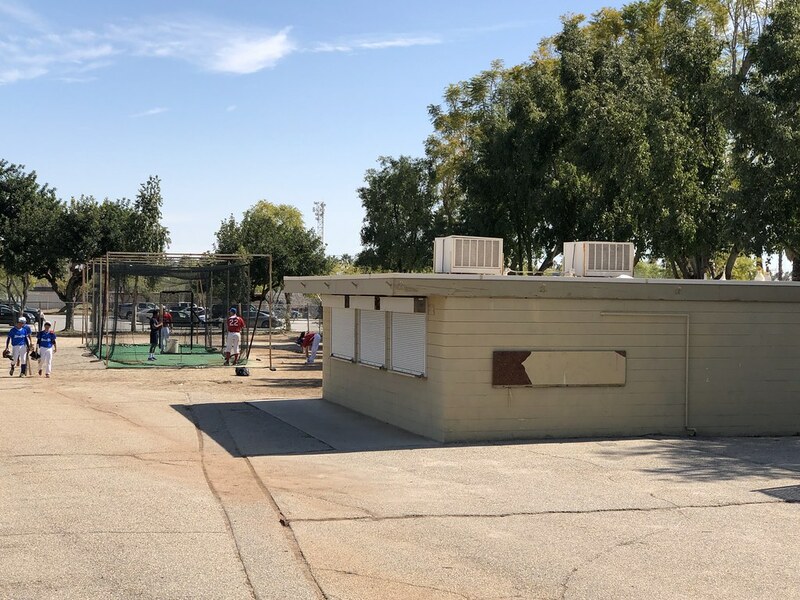 Batting cages are located next to a concession stand on the concourse in the right field corner. 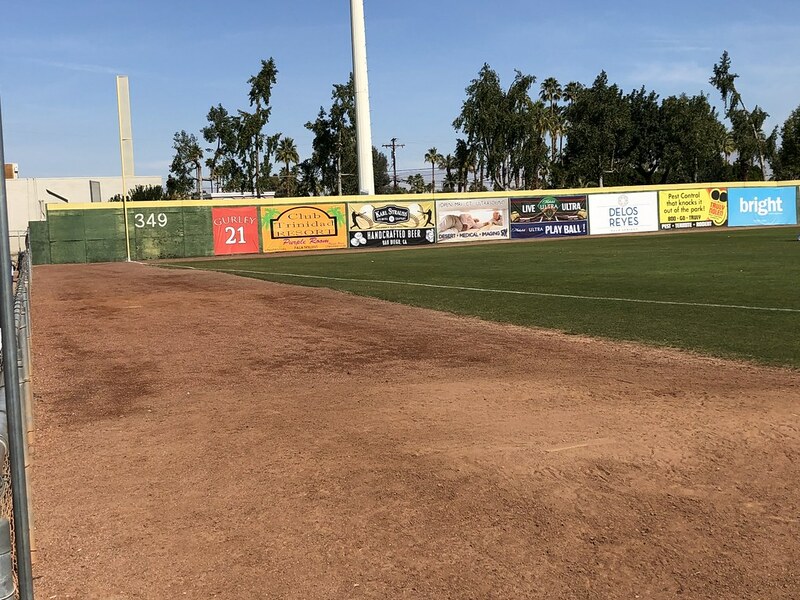 The bullpens are in play in foul territory by the outfield wall. 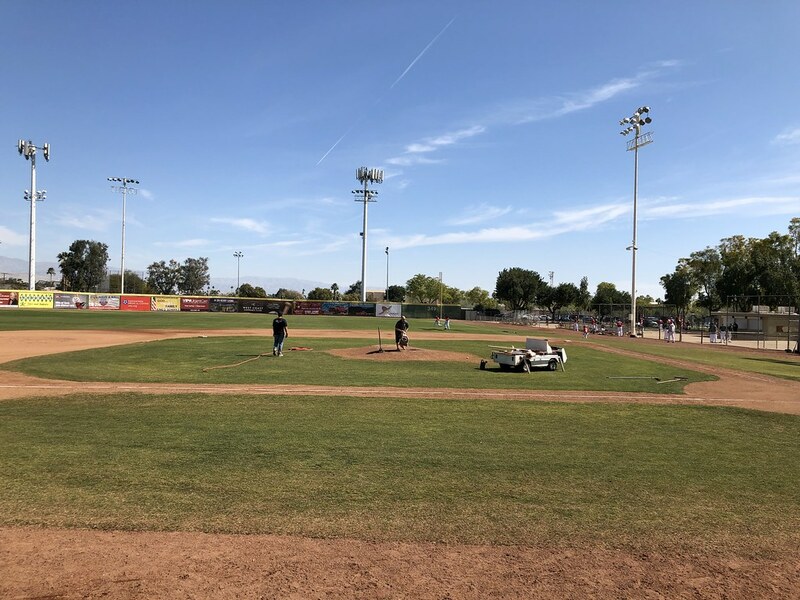 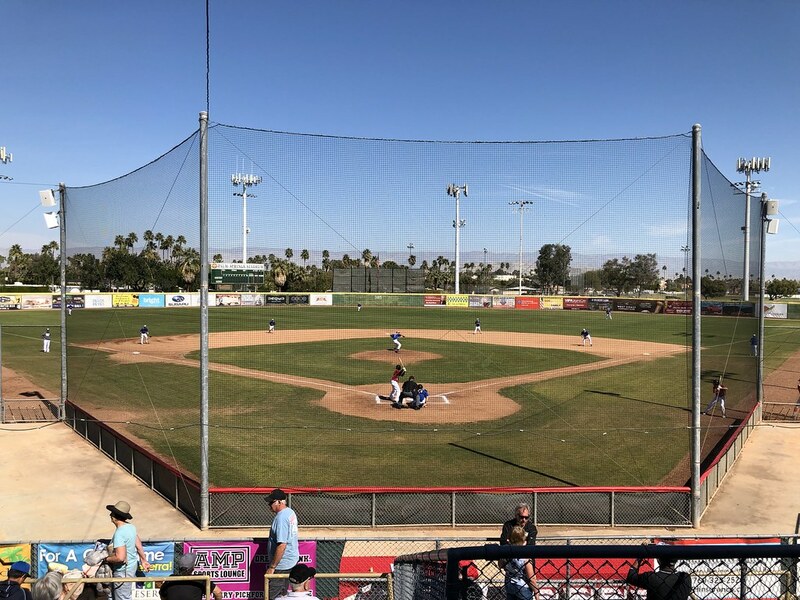 Action on the field during a California Winter League game at Palm Springs Stadium.